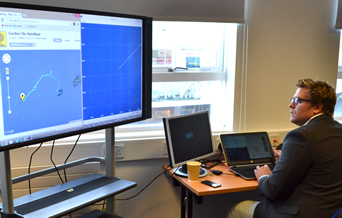 The Operations Room is located at the heart of the National Oceanography Centre in Southampton and is the central hub for the MASSMO project operations. 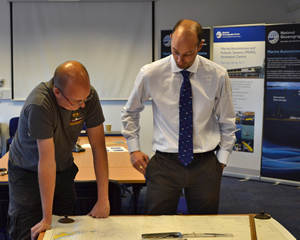 During live operations the room is filled with maps, charts and tracking information, including meteorological data provided by the Royal Navy and oceanographic data supplied by Plymouth Marine Laboratory. There is also a large screen showing the track and progress of the vehicles at sea. Pilots are on constant watch in the Operations Room, controlling the movements of the vehicles at sea. 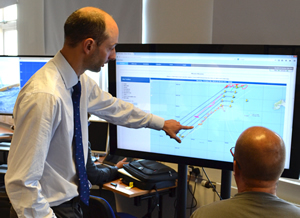 Some of the piloting is also being supported by partners at other sites across the UK and Europe. At regular intervals an alarm sounds, signalling that a glider has reached the surface of the ocean and is sending and transmitting data, and able to receive new directions from the pilots. To follow the two vehicles throughout the current mission please vist this webpage. 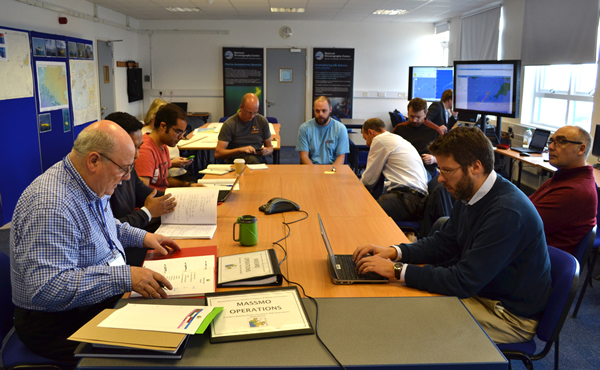 Each morning at 10am a daily briefing takes place, led by the NOC project team and involving partner organisations and stakeholders. 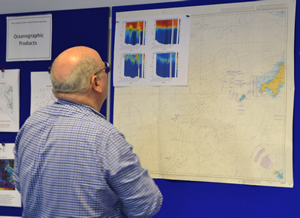 Discussions begin with a review of the previous day’s activities, looking at what data has been collected and the movements of each of the vehicles. It is followed by a detailed update on each of the vehicles, a discussion about specific plans for each and a look at predicted weather patterns for the next 24 hours.